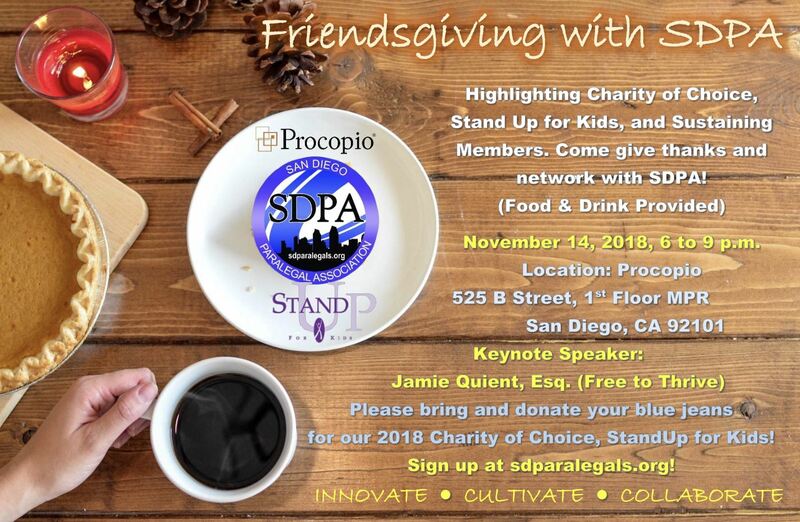 Join Team SDPA & our Charity of Choice, Stand Up for Kids, to celebrate a great year at our annual Friendsgiving, a special mixer to give thanks to all our members, sponsors, and friends in the legal community. We will be accepting blue jean donations for our 2018 charity of choice, StandUp for Kids. Your blue jeans will go to homeless kids in San Diego. Used and new jeans are accepted.